On Saturday I went proper mountain biking for the first time at Bedgebury Forest. I'd tried to arrange going a few times before but never managed it until now. I went with two colleagues, one an experienced rider and the other a novice. My experienced colleague had enjoyed it so much the previous two times he went, that he bought himself a nice new full suspension bike, a Lapierre Zesty 214, just for today's ride. The weather was perfect. Although it had rained a fair bit over the last few weeks, the entire course was almost mud free. I prefer not getting dirty where possible. There are two routes you can take. The Red Route is classed as difficult and the Black Route is classed as severe! We took the Red Route. We kept distance from each other so that if any rider got in trouble we wouldn't trip over each other. The speed in the downhill sections throughout the course were quite fast so it was quite easy to catch the rider in front of you. The forest stages were well put together and well maintained. I never realised it could be such fun. Mile after mile of ups, downs, twists, turns and jumps. We finished off the ride clocking a total of 9.76 miles. If we'd had time, we probably could have gone around another time, although my novice colleagues probably couldn't have managed it. 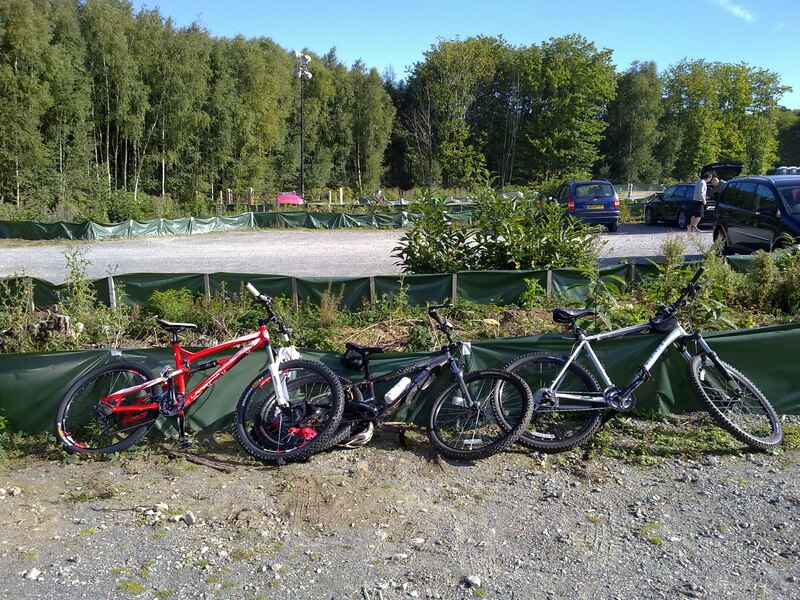 We cleaned our bikes down with the jet wash and put them on the car to go home. That night, Bedgebury was hosting the 'Insomnia' Night Ride for the British Heart Foundation. 12 hours of night riding around the forest. Mental! Welcome to my world mate! The best bit of cycling, oh and get used to being dirty, that's fun too! A Zesty??????? Wow, that's some bit of kit. Green with envy here! The zesty really is a lovely bike. It was fun. Can't wait to go again.